Traceable reference materials. RTC have been producing environmental laboratory Proficiency Testing programs and certified reference materials for more than 20 years. More than 20,000 PT samples a year are sent to over 2,500 worldwide participants analysing soil, sediments and both waste and drinking water. 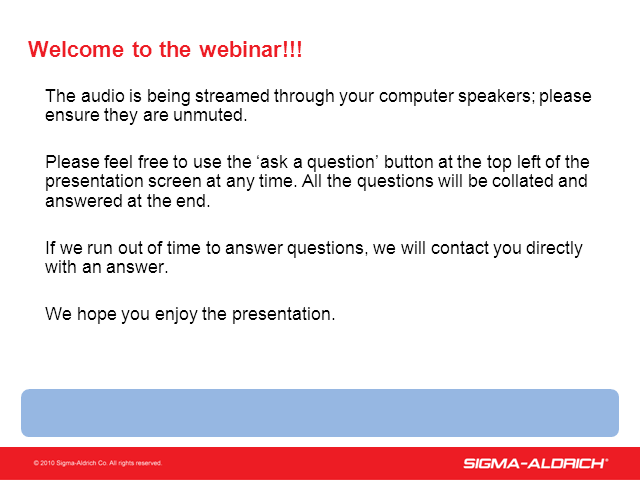 This webinar will focus on how Sigma-Aldrich-RTC can support your laboratory with its PT and CRM needs.